One of the biggest problems you might be facing is the need to closely monitor the temperature and humidity of your properties and possessions to keep them from getting damaged. The technology has, however, come to your rescue. The introduction of the wifi thermometer enables you to remotely receive temperature and humidity alerts via the internet connection—anywhere, anytime. This helps take preventive measure to prevent costly and irreplaceable damages to your valuables when these conditions go extreme. That said, we’ve researched on what makes the best wifi thermometer. And in this post, we’ll be sharing with you all our findings to help you choose the best model for your unique needs. (We’ve also researched the 10 top-rated wifi thermometers and remote temperature sensors on the market today, which we’ll review them for you below). What Are Wifi Temperature Sensors? Wifi temperature sensors are compact devices designed to wirelessly transmit REAL-TIME temperature (and sometimes humidity) readings, over the internet, via a cellular network, or Bluetooth. The devices come with mobile apps that you install in your smartphone to enable you to receive the alerts from any location and at any time. As you already know, keeping tab of these two conditions (temperature and humidity) is crucial for your home as well as businesses. If they go beyond or below the optimal levels, they can result in costly or irreplaceable damages to your properties and possessions. Even worse, they can affect the health of your family. That being said, these devices come designed to help you monitor these conditions, without being physically there. This will help you take preventive measures on time to prevent possible damages. These ingenious devices are quite affordable and extremely easy to operate—making them accessible to everybody. You can also choose to receive alerts form these sensors on your smartphone, computer or tablet as long as there’s an internet connection. Currently, the market is flooded with temperature sensors of all sorts. And if you’re not careful which one you choose, you can end up with a cheaply made, unreliable product that’ll hardly fit your specific needs. Next, we take a closer look at the 10 top-rated wifi thermometers that we found for you after hours and hours of research, comparison, and analysis. We open our list of the top-rated wireless temp sensor devices with the SensorPush Wireless Thermometer/Hygrometer. This is the ideal choice if you want to keep track of the temperature of your rooms, or the possessions inside your house. The popular device has an extremely powerful range of up to 325 feet (with a clear line of sight, via Bluetooth). This means you can set it in all the corners of the house and rest assured that it’ll reliably transmit data to your device. Other than the wifi option, this monitor also enables you to use it with the SensorPush G1 Wi-Fi Gateway device (sold separately), if you wish to improve the remote capabilities. Featuring a 100% Swiss made sensing component, this is one of the most accurate and reliable devices you can find on the market today. It’s powered by one CR2477 coin cell battery, which can last for up to 1 year or even more. The sensor will push temperature and humidity readings to your smartphone every minute…and can store the recorded data for up to 20 days. Its intuitive app is straightforward to navigate and compatible with both iOS and Android devices. Despite all the great features and capabilities, this device extraordinarily compact and lightweight; it measures only 1.57" x 1.57" x 0.65" and weighs 40g light. Powerful range of up to 325ft. Dimensions: 1.57" x 1.57" x 0.65"
MarCELL 500 Cellular Monitoring System is the best remote temperature and humidity, monitor that uses a cellular connection. This type of connection is a big plus for homeowners without internet or any other internet connection. This monitoring system comes ready to help you monitor the temperature and humidity of various areas in your home. In addition to that, it features a water sensor that will detect any leak in areas such as the bathroom, basement or the laundry room. It comes equipped with only one water sensor…but you can add up to 16 (of course, you’ll need to buy them separately). When the humidity/temperature conditions exceed the pre-set values, this system will instantly notify you via text, email or phone call (depending on your preferences). What’s more, the manufacturer has an online web portable where you can view the current data and trends. As long as you’ve got access to any cell service, this monitor will work for you. However, you’ll need to spend on the service provider subscription costs. But with proper planning, you can effectively manage it. Here’s another great remote sensor for measuring the temperature and humidity of your backyard, greenhouse, food storage, sensitive electronics, outdoor pets/livestock, freezers & refrigerators, and so much more. The system is extremely easy to set up in 3 easy steps, after which it enables you to remotely access the temperature and humidity alerts from any location, using your laptop, tablet or smartphone. It has an excellent transmission range of up to 200 feet on a clear line of sight, which means you can set it up in part of your house. Since this is also an expandable unit, you can easily add sensors for other areas to it, and monitor all of them from the same device. It reliably sends you text, email or App notifications whenever the MIN/MAX conditions are exceeded, if batteries get depleted (btw it’s powered by 2 AAA batteries), and when the connection is lost. You can choose to wall-hand or stand this device for easy, quick installation. And even with its list of impressive features and capabilities, the system comes with an incredibly affordable cost. Ideal Sciences Temp Stick is a brand new, all-in-one wireless sensor that you can rely on to help you remotely monitor the temperature and humidity conditions around your home, RV, and any other location of your choice. 100% designed and built in America, this device connects directly to your home or business Wi-Fi network, eliminating the need for a gateway device (and saving you money in the process). It sends you text and email alerts the moment important changes in the temperature and humidity occur. This gives you some peace of mind knowing that you can go anywhere without worrying about temperature rise damaging your most valued possessions. Talking of accuracy, this sensor doesn’t disappoint! It has a temperature tolerance of ±0.4 °C (max) and humidity tolerance of ± 4% RH (max). This is the same level of accuracy you’ll find on most of the high-end models out there. We like how the manufacturer gives you total control over this monitor by letting you set your desired hi-lo triggers, customize the alert messages, choose between degrees C or Fahrenheit, etc. Keep in mind that this monitoring system is easy to set up in 3 easy steps. It’s powered by 2 AA batteries which can last for 6-12 months, depending on your device settings. How about using a temperature & humidity sensor that sends you a loud audible buzzer for immediate alerts notifications? Well, that’s precisely what the Proteus sensor does. And if you don’t like prolonged noise (we all hate noise), you can easily turn it off after a few minutes. Ideal for homes, offices, etc., this device is simply a cloud-connected humidity and temperature tracking device. And this means you can enjoy viewing live data from the comfort of your smartphone screen—anywhere, anytime! All you need to make this sensor work is a reliable Wi-Fi connection. Like the other models we’ve featured on this list, this sensor boasts of highly accurate readings (temperature accurate to ±0.4°C, and humidity accurate to ±3.0%RH). You’ll receive alerts in the form of texts and emails. Remember you don’t need any App to monitor the sensors activity. Just a web browser and a device with access to the internet, and you’re good to go! Now you can keep tabs on both indoor and outdoor temperature without breaking the bank, thanks to this affordable remote monitoring system. Featuring a user-friendly design, this station enables you to easily monitor your home indoor/outdoor temperature, heat index, and even dew point at any location using your smartphone. It accurately records and transmits data to your smartphone over WIFI connection—with its excellent transmission range spanning up to 300 feet! What’s; more, it comes equipped with a 90 cm (3ft) dry probe that enables you to measure air temperature accurately. Unlike most of its competitors which provide limited data, this station shares even more detailed data for each parameter it records. It presents you with dials, gauges, text, and graph reports. It even allows you to download all this data if you wish to perform further analysis. Just like the previously discussed model, this station doesn’t require you to install any app on your phone to start using it (no more cluttering your phone!). A web browser is all you need to gain remote access to the recorded temperature measurements. Whether you’re a cropper, wine collector, cigar aficionado, or a homeowner who wants the healthies living conditions for your family and pets, the MINGER Wifi Temperature Humidity Monitor will more than meet your unique needs and expectations. This monitor will keep a watch over the temperature and humidity conditions around your home, wine cellar, greenhouse, cigar humidor, instrument cases, etc., without you necessarily being there. Like all the other monitors we’ve discussed above, this Minger allows you to set the pre-set temperature and humidity values. And will send you instant alerts when your set values are exceeded, so that you can take the necessary preventive measures. One special thing about this device is its integrated high precision sensing component. This makes it one of the most accurate models you’ll find on the market…with temperature and accuracy rated ±0.5°C and ±3% respectively. Not forgetting that user calibration is available! Since it transmits the recorded data over the internet, you can conveniently access the alerts from anywhere, as long as you've got a good internet connection. Also worth noting is that this device supports multiple devices and allows you to export the recorded data to CSV for further analysis. Its clear LCD display makes it easy to read the temperature and humidity measurements. Sometimes all you need is a simple, cheap temperature sensor that enables you to keep tabs on your home and backyard temperature conditions. And that sensor is the AcuRite 00782A2 Wireless Indoor/Outdoor Thermometer. As its name suggests, this model is specially designed to measure temperature only, so it might not be the right choice if you wish to monitor humidity as well. Nevertheless, the digital thermometer has an excellent performance—provides you with accurate and up-to-date temperature readings. It’s able to wirelessly transmit data every 60 minutes within an excellent range up to 100ft (or 33meters) away. It comes with a compact design which makes it easy to install in any place (both indoors and outdoors). It also gives you the option of placing it on tabletop or wall-hanging, making it even easier to install. You’ll be able to easily read the current indoor or outdoor temperature readings via its bold, easy to read screen. And oh! It’s an AcuRite, so it is backed by a one-year warranty as a quality and performance assurance to give you some peace of mind when using it. Here’s another affordable wireless temperature sensor that will also do a good job keeping track of the indoor and outdoor temperature. As a 3-channel device, this model is great for monitoring the temperature of up to 3 places in your home simultaneously. The sensor boasts of 915MHz transmission frequency which translates to powerful, continuous transmission of accurate temperature data to a range of up to 330 feet. Setting it up for use is extremely easy as you don’t require any prior experience or any level of expertise. If you already own a La Crosse Technology weather station, you’ll love this temperature sensor even more. Why? Because it works with nearly all the company’s weather stations. In other words, you can expand your existing LA Crosse weather station with this sensor! Thanks to unit’s compact design (measures 5 by 1 by 1-1/2 inches), it doesn’t take up much space. And this means you’ll have an easy time mounting it in any location around your home. 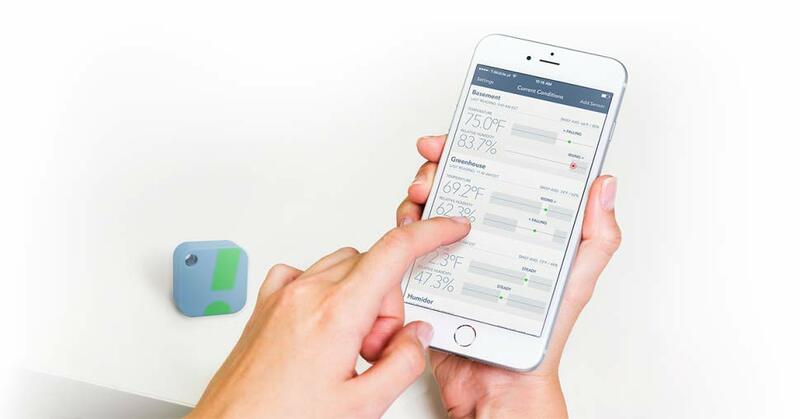 Most accurate results… simplified user experience…wallet-friendly cost…all these are the goodies that come with the ThermoPro TP63 Digital Wireless Temperature and Humidity Monitor! This is simply an irresistible package, which explains why it’s soo popular in many homes. The number one thing we like about this monitor is its professional-grade sensor. It comes wholeheartedly dedicated to providing you with accurate outdoor and indoor temperature and humidity readings—every 60 seconds. Even better, it has a powerful transmission range of up to 200ft/60m, which outperforms some of the higher-end models. If you wish to monitor multiple locations at a go, again this is your monitor. You can use it to track as many as 4 locations. All the monitors we’ve featured on this list come with disposable batteries. But for this monitor, it comes with a rechargeable lithium battery as its power source (an excellent way to reduce landfill waste, right?). With 100% cold- and weather-resistant design, you can also trust this thermo-hygro sensor to perform in snow and rainy conditions. Other features worth mentioning include the backlit LCD display, Min/Max temperature and humidity records, and multiple mounting options (tabletop, wall-mount, & magnet-mount) for hassle-free setup. There’s always a cloud of confusion that sets in when you’re trying to buy a new product for the first time. You want to make sure you don’t make a mistake that can lead to the wrong choice. When it comes to buying a new wifi thermometer, it’s no different. Knowing how to choose the right model for your needs will help take home a device that meets all your temperature and humidity tracking needs. As we’ve seen from the 10 products above, different remote sensors come with different types of connectivity. Which connectivity to choose will depend on your specific needs. Wi-Fi: this is the most popular type of connectivity for most applications. It’s highly reliable and enables you to monitor your sensor from just anywhere, anytime. Bluetooth: this type of connectivity will limit the transmission range (operate within the Bluetooth range), meaning you might not be able to receive the alerts if you move out of home. Radio-based wireless signals (433MHz): in most cases, this connectivity requires you to invest in a gateway device to remotely view the recorded data on the internet. Lack of a clear line of sight might distract the signal. Cellular-based network: this type of connectivity is loved due to the excellent range it offers, facilitating true remote viewing. Unfortunately, huge subscription costs are involved with this service. Where possible, we recommend you to go for the Wi-Fi-based temperature sensors. You’ll also need to ensure that the monitoring system you’re buying records accurate data. This will ensure you receive the correct data that helps you safeguard your properties, temperature-sensitive creatures, etc. Two things will help you determine the accuracy of a given device: the temperature and humidity range (the wider the range, the better) and the degree of accuracy. A device with a temperature range of -40°F-125°F (accurate to ±0.4°C (max)) and a humidity range of 0-100% (accurate to±4% RH (max)) will be able to provide you with accurate readings. A sensor with even better specification than the above will mean greater accuracy. As we’ve seen in the products we’ve reviewed above, most models run on different types of batteries…while a few models require to be plugged in. The best power source for you will directly depend on your specific needs. For instance, if you want a sensor that you want to place to your vacation home (which is far away from your home), you should go for a battery with a longer lifespan (say 6-12 months) since you’ll not always be there to replace it. The power source will also affect the portability of the sensing device. A wifi thermometer that’s battery powered is the best option if you’re looking for portability. TIP: If you plan to use your remote sensor in areas with extreme climates, we suggest that you choose lithium over alkaline batteries as they perform better. This is a crucial factor to consider for those who wish to monitor more than one location using a single remote sensor. The best example is a homeowner who wants to continually monitor the temperature and humidity of various locations around their home—like the basement, fridge/freezer, outdoor temperatures, laundry room & bathrooms (for leak detection), etc. In such cases, you’ll need to look for a device that allows you to easily add an extra sensor for each location. And then monitor all of them from your smartphone, tablet, or laptop. We also suggest that you come up with a budget of the amount of cash you’re willing to spend on the new remote sensor device. One thing we can all agree on is that the most accurate, reliable monitoring system with impressive features will cost you a lot of cash. But again, you don’t have to worry about spending too much on the high-end models if you’re facing hard economic times. From our list of top recommendations, we have reviewed some highly affordable models that deliver accurate results and will meet most of your needs and expectations. BEWARE: Some companies tend to impose hidden costs on their products, in terms of subscription fee. We advise you against buying a sensor that charges any subscription fee for their App as most of them are 100% FREE. What Are The Uses Of These Products? There are more uses of the remote temperature monitoring device than you can imagine. Probably one of the most common applications of remote temperature monitoring in most homes and businesses is the refrigerators and freezers. In homes, there’s a long list of foods that must be stored within specific temperatures, below or above which they become unsuitable for human consumption. The same case applies to commercial settings dealing with perishable foods; if the foods get damaged, the owner will count huge losses which might downside their businesses. Using a wifi thermometer in such scenarios will help you remotely track the temperature of your foods, ensuring the safety of your investment. 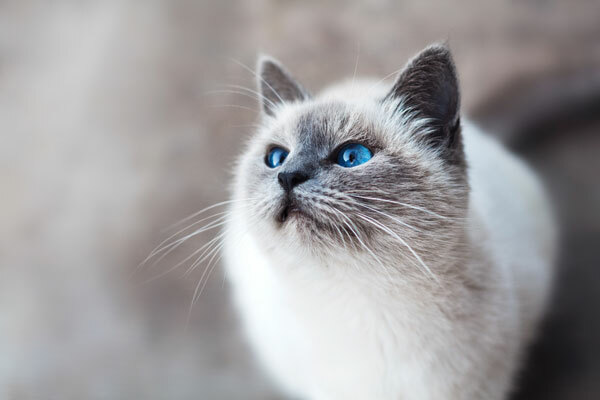 Another way in which a wireless temperature sensor can be of help to you is that it can keep watch over your pets when you aren’t around. Constantly monitoring the temperature of your beloved pet ensure not only its comfort but also its overall health and safety. Using a wifi thermometer, you’ll be able to receive alerts of when the temperature falls or rises above the acceptable range and take the necessary preventive steps. No more worrying about the pet you left at home while you’re out there traveling! Up to 99% of folks who own a cabin or simply a vacation home have a wireless sensor installed in them. This makes sense given that you’re not always around your vacation home and you want to know how temperature and humidity conditions are faring inside there. The device will help keep watch over various incidence such as furnace failure (temperature drop alerts), frozen/burst pipes (reported as humidity spikes), and so on. And this enables you to take the right action on time to prevent mold growth as well as costly damages to your investment. Sometimes basements and attics act as good store locations for our variables. If you’re storing something in your basement, attic, or even storage locker that’s of great value and requires constant temperature monitoring, you can also count on a remote temperature sensor to make your job easier. Not just your variables…constantly monitoring your attic or basement temperatures will also help prevent the growth of molds. It’s impossible to find a cigar use who doesn’t have a wireless temperature and humidity sensor. This comes from the fact that cigars need to be checked continuously for temperature and humidity. And that’s because the temperature and humidity at which you store them can significantly affect their freshness. Since you’ll not always be with your humidor whenever you go, using the digital thermometer will help you keep an eye over your cigars and ensure they don’t get moldy or dry out. Hydroponics, the method of growing plants without using soils, has become increasingly popular in the US over the last few years. That being said, it’s worth noting that different plants will thrive under different temperature conditions. Plus, too much or little humidity can significantly affect the pollination of your plants. It, therefore, makes sense that one of the things you’ll need to ensure successful hydroponics is a digital thermometer & hygrometer to help you keep tabs of your plants and provide them with optimal growing conditions. If you have a chicken incubator at home, you already know that the chicken requires a certain amount of heat for proper development and hatching. Since you can’t always stay beside your incubator, it’s important to install a wireless temperature device to track its temperature and humidity. This will help greatly increase the hatching rate. They say the older wine the better it tastes. But...have you ever thought about the process that goes in storing the wine to ensure it tastes better? Well, one of the crucial considerations for proper wine storage is ensuring stable temperature and humidity and conditions. And what could be a better way of monitoring your wine cellar temperature than a wifi thermometer? If you’ve invested in high-end guitars that cost thousands of bucks, you don’t want to take chances when it comes to taking care of them. As you’re already aware, most of these instruments are made using different woods which tend to expand and contract differently when there are changes in temperature, risking separation/deformation. Not just temperature, high humidity levels might make the guitars swell, affecting their tone; low humidity levels can result in shrinking and cracking. In other words, taking care of your instruments involves tracking the temperature and humidity inside their storage cases. For remote tracking of your production line, a wireless sensor can be your best buddy! The device will enable you to monitor the production line for temperature, operational efficiency, speed, downtime, and so on from any location and at any time. 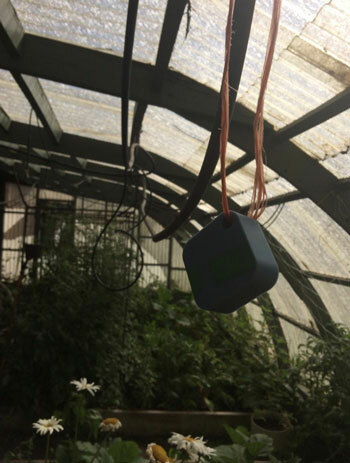 Remote temperature sensors are also common in greenhouses, where they help monitor temperature and humidity. This helps ensure that the growing conditions in there are acceptable. They’ll send you low and high temperature and humidity alerts to ensure product quality. Temperature and humidity sensors in data sensors, server rooms, etc., can also play a BIG role in preventing costly damages to the equipment or even fire outbreaks. Nearly all of these rooms have a cooling system installed to keep the temperatures at acceptable levels. But what happens if the system stops working? The devices do the noble task of alerting the manager when the fail happens, enabling them to jump into action and stop a disaster in its tracks. What’s more, remote temperature sensor with humidity sensing capabilities will also help detect when the humidity gets too high, e.g., in the event of water leaks, as it can lead to damages. 1. Which is better: Wifi or Bluetooth remote temperature sensor? The best connectivity option will depend on your specific needs. But if you wish to enjoy the real “remote monitoring” experience, consider going for a Wi-Fi remote sensors. This is because it allows you to access alerts from anywhere, anytime…unlike the Bluetooth connectivity, which has limited range. 2. Can you connect multiple temperature remote sensors to a single smartphone? 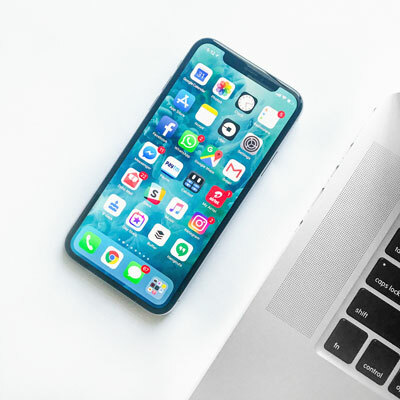 If you’re using a system that allows you to use multiple sensors, then you’ll have no issues connecting all the sensors to a single smartphone or any other device for simultaneous monitoring from a single location. 3. Is the remote sensor device waterproof? Not all the sensor devices are waterproof. If you plan to use your new monitor in an area with extreme weather conditions, it’s therefore important to look for a cold- and weather-resistant model. 4. Where can I buy a reliable remote temperature sensor? While there are many avenues when you’ll find these devices on sale, we feel that Amazon is the best option. This is because it has countless options to pick from. Add this to the fact that you’ll be able to read previous customer reviews and ratings before buying a product and shopping with Amazon gets even better! It’s now possible to remotely monitor your home or business temperature and humidity conditions (from your smartphone, tablet, or laptop) thanks to the wireless temperature sensor. This device makes your life easier as it ensures you don’t have to manually monitor the temperature and humidity of your refrigerator, vacation home, cigar humidor, greenhouse, basement, etc. The device will always alert you when the conditions go beyond or below the pre-set levels, ensuring you take the right measures on time and prevent costly damages or disasters from happening. Our exhaustive guide above covers everything you need to know about the remote temperature sensor device as well as powerful tips on how to choose the most suitable one for you. The top 10 list also provides you with the 10 top-rated wifi thermometers that you can find on the market today. Hopefully, one of these products will fit your unique needs.